Skye Gravestones | Andrew & Annie (Macleod) Gillies. 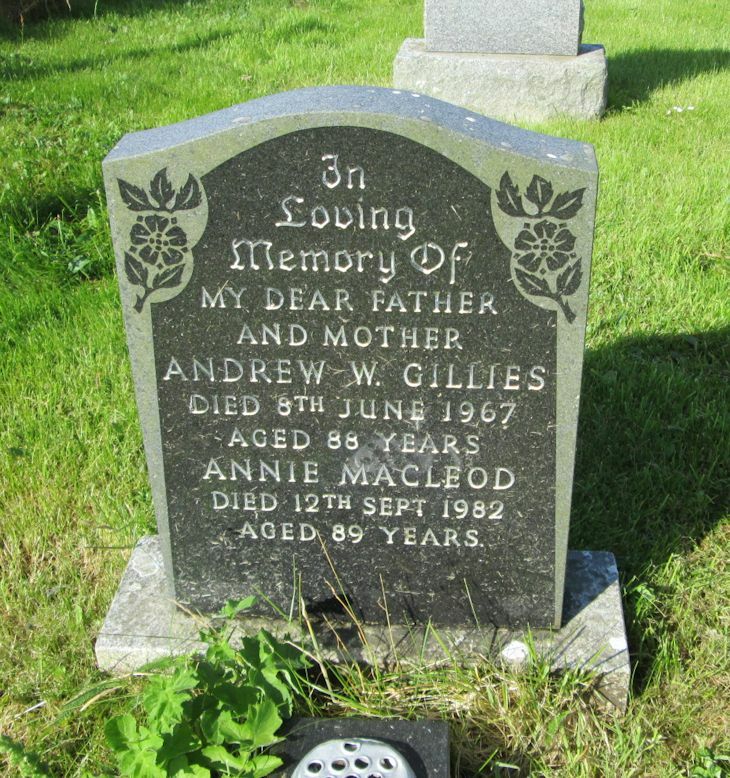 Andrew & Annie (Macleod) Gillies. In/loving/memory of/my dear father/and mother/ANDREW W. GILLIES/died 8th June 1967/aged 88 years/ANNIE MACLEOD/died 12th Sept. 1982/aged 89 years..
Picture Added on 20 July 2014.